A tablet is, without dispute, the most portable computing device today. Tablets are usually touchscreen devices and operate on iOS, Windows and Android operating systems. They also have apps specifically designed for them. Some devices come with a stylus that makes the monitors free of smudges due to fingerprints. There are also those tablets that come with portable keyboards for those who are not comfortable with touchscreens. Many tablets perform most of the functions of smartphones and can be used to make calls, send messages, take photos and record videos. A tablet is also often referred to as a slate because of its physical form. Although there are no tablets specifically designated for seniors, some tablets have interesting features that make them better suited for this age group than their counterparts. The following article gives you a partial and yet comprehensive list of some of the best tablets for seniors. 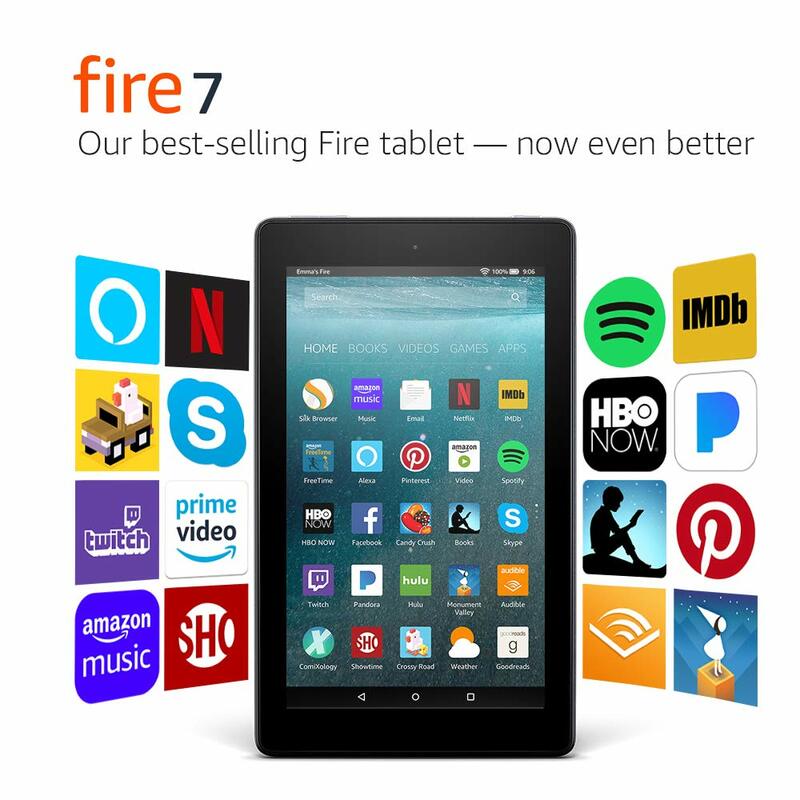 The Fire 7 tablet comprises an IPS 7” screen with 1024 x 700 pixels resolution and 171 ppi pixel density, which results in crisp and clear displays. The tablet is integrated with 1 GB RAM and a quad-core 1.3 GHz CPU. 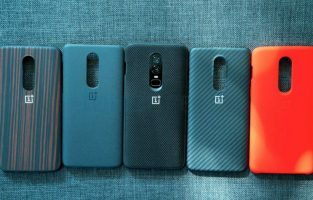 It features two options of internal storage – 8 GB and 16 GB. Both versions support the expansion of the existing storage by an additional 256 GB using a memory card in the micro-SD slot and unlimited cloud storage and exclusively for Amazon content. The tablet comes with a 2 MP camera on the rear that you can use to capture your favorite shots and record 720p HD videos. It also includes a front facing VGA camera for video chats. 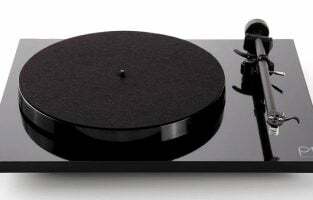 The slate also encompasses an inbuilt microphone and a mono speaker. 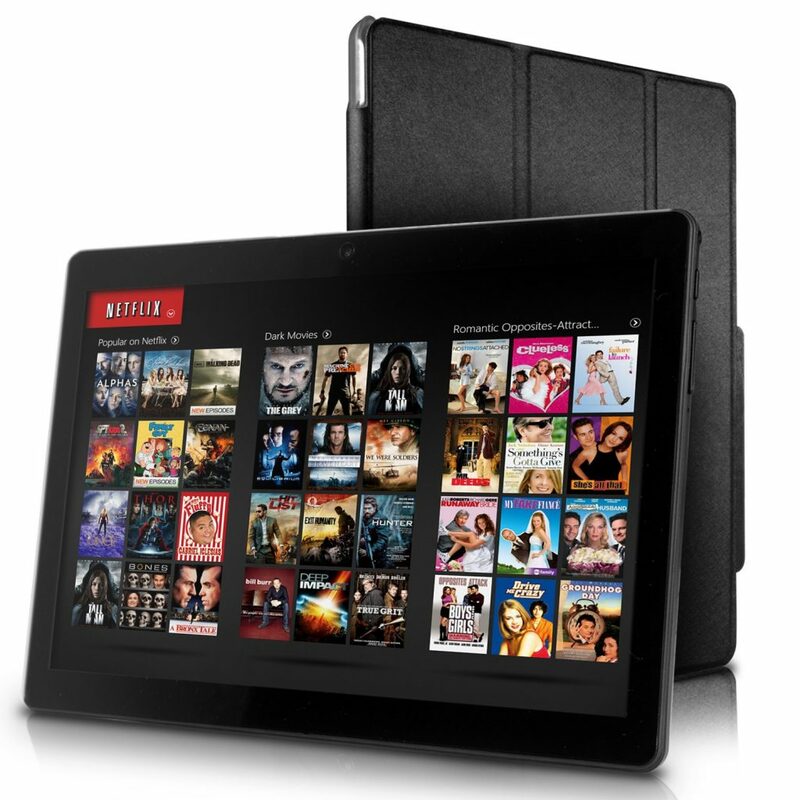 The lightweight and thin tablet gives you access to a gamut of books, TV shows, games, movies and more at no extra cost or for a nominal fee. It is compatible with Alexa and supports dual-band Wi-Fi. The device has a battery life of 8 hours with mixed usage of reading, browsing, listening to music and watching videos. The tablet comes in four color options of black, punch red, marine blue and canary yellow. The Lenovo Tab 4 tablet comes in different configuration options, with both 8” and 10.1” HD screens with wide viewing angles. Both versions have IPS LCD multi-touch displays with 1280 x 800p resolution. 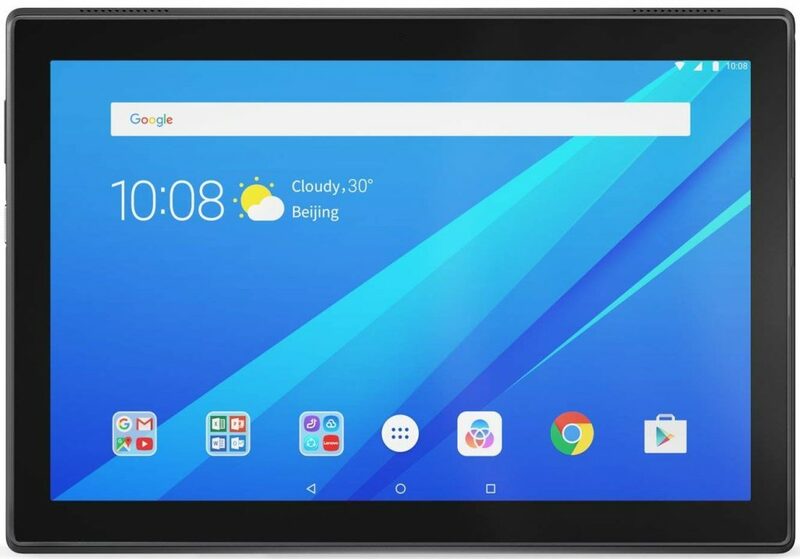 The 8” tablet comprises 2 GB RAM and 16 GB storage, whereas the 10.1” counterpart has two variations of 2 GB RAM & 16 GB storage and 2 GB RAM & 32 GB storage. It also includes a quad-core Snapdragon processor with a maximum clocking frequency of 1.4 GHz. The slate functions using the Android 7.1 Nougat operating system. The black device features dual stereo built-in front-facing speakers and incorporates Dolby Atmos Audio functionality. 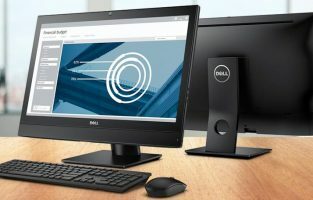 The productivity mode supports multi-user and multi-space functionality. The tablet allows seven users to have accounts on it with specialization and customized space for each user. It supports Amazon Alexa Voice Services. The lightweight slate supports Bluetooth, Wi-Fi 802.11 b/g/n and Wi-Fi + LTE connectivity options. It features a combo audio jack, a micro-SD slot, a rear 5 MP snapper with autofocus, a 2 MP front snapper with fixed focus and a two-cell Li-Polymer battery with a life of close to 20 hours. The tablet comes with a charger, a quick start guide, a safety/warranty guide and a micro USB cable. 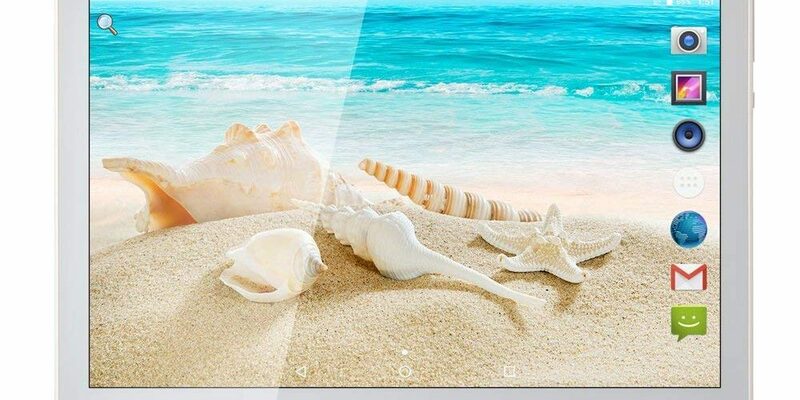 The Simbans tablet has a 10.1” IPS crystal clear display with 1280 x 800p resolution and 16:9 aspect ratio. The sensitive touchscreen allows you to access all your apps with just a single touch of your finger. The tablet encompasses 2 GB RAM and 32 GB internal storage. The slate also incorporates a very powerful quad-core processor that has a clocking frequency of 1.3 GHz and an advanced graphics coprocessor. It comes with the Android 7.0 Nougat operating system preinstalled. The existing internal storage can be augmented by a further 128 GB by using an appropriate memory card in the provided slot. The black slate comprises a 5 MP rear shooter and a 2 MP front shooter, both of which have excellent clarity to help you get the best out of your shots and/or videos and video calls. It also includes a mini HDMI port, a micro USB port and an audio port to offer connection possibility to various devices. 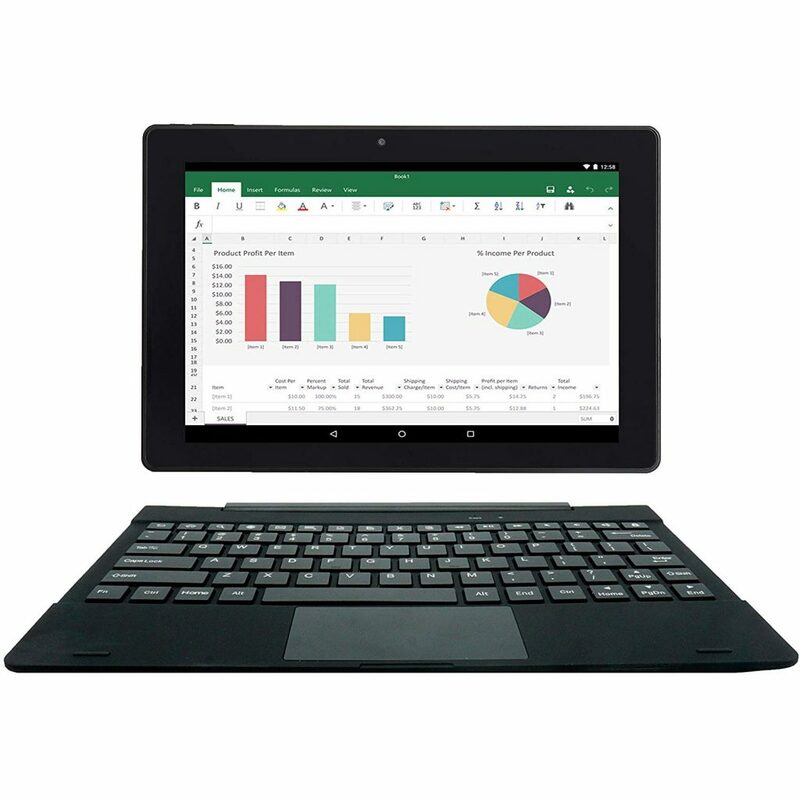 The tablet is preloaded with WPS Office, MS Excel and MS Word apart from the standard Google Apps (like Gmail and YouTube) and Google Play. The slate supports GPS, Wi-Fi and Bluetooth wireless technologies. It comes with a high-quality keyboard that can be fixed to the tablet using a magnet, a pre-applied screen protector, a micro USB cable and a universal power adapter in a beautiful gift box along with a one-year warranty. The tablet works with a lithium-ion battery that has a life of 8 hours. The Fusion5 tablet is available in two variants with respect to the screen, RAM and storage. One version comprises a 10.1” display with a resolution of 1280 x 800p. This option comes with 4 GB RAM and 64 GB storage. The other version encompasses an 11.6” IPS Full HD screen with 1920 x 1080p resolution. It incorporates 2 GB RAM and 32 GB storage. 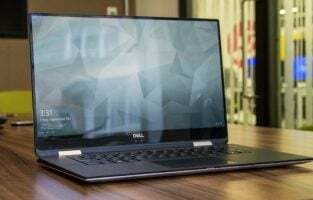 Both versions feature an Intel quad-core processor, an Intel HD Graphic Gen 7 graphics coprocessor, a micro-SD slot to expand the provided memory by 128 GB and are preloaded with Windows 10 Home operating system. The two versions of the black tablet come with a 2 MP front camera and a 5 MP rear camera with both cameras rendering good quality performance. They support Bluetooth 4.0, Wi-Fi 802.11 b/g/n and G-Sensor wireless technologies and include a full-size USB 3.0 port. The ultra slim design gives the tablets a stylish look. They work with a lithium polymer battery and come with an AC adapter, a user manual and a USB cable. The Dragon Touch V10 tablet features a 10.1” IPS HD big display with 171 ppi and 1280 x 800p resolution. The slate comes with 1 GB RAM and 16 GB internal storage that can be increased by an additional 32 GB with a memory card so that you can save the space available on the unit. The device is also integrated with a 64-bit quad core processor with 1.3 GHz clocking frequency and a graphics co processor. It is preloaded with the Android 7.0 Nougat operating system. The slate has two reasonable quality 2 MP cameras, one on the front and the other on the rear. The tablet comprises a built-in GPS sensor and an FM radio. The device offers Wi-Fi and Bluetooth 4.0 wireless technologies, along with a micro HDMI port and a USB 2.0 port. The two ports allow you to connect the unit to different types of accessories such as a keyboard or a pair of speakers. 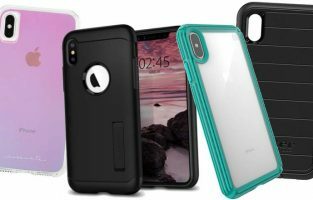 It works with a 5,600 mAh rechargeable lithium polymer battery that offers 4.5 to 6 hours of interruption-free video time and takes about six to eight hours to charge fully. The black tablet comes with a user manual, an AC adapter and a USB cable. 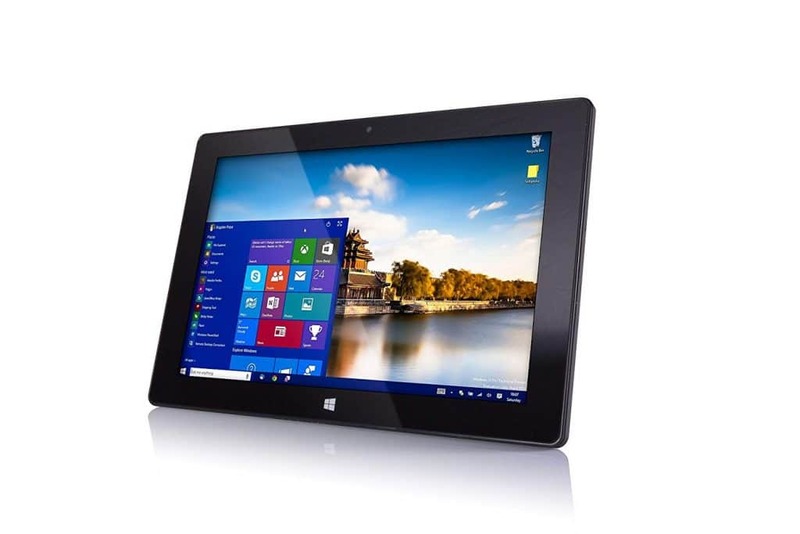 The Batai tablet comes with a 10” IPS display with 2560 x 1600p resolution. 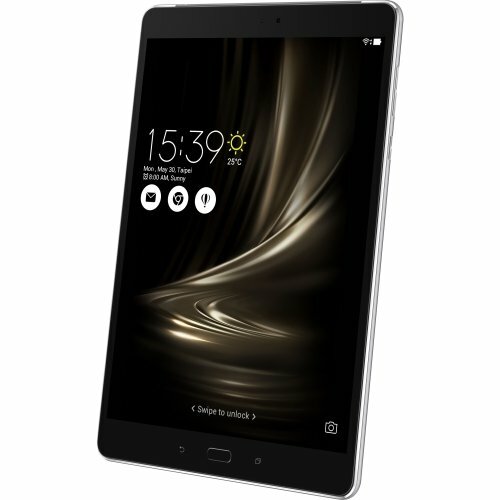 The tablet features 4 GB RAM with 64 GB internal storage. The device also encompasses an octa-core processor that clocks at a frequency of 2 GHz. It functions using the Android 6.0 Marshmallow operating system. The unit comprises a microSD slot to boost the existing memory available by 32 GB with a memory card and two SIM card slots to insert GSM and/or WCMA SIM cards of 2G and 3G networks. The tablet offers support for over 40 languages without any plug-ins installation. The slate has a dual camera setup with a primary 13 MP rear camera and a secondary 2 MP front camera. It features built-in wireless GPS, Bluetooth 4.0 and Wi-Fi 802.11 b/g/n technologies. The device works with a 5,000 mAh battery that has an average life of three to five hours. The tablet is available in five color variants of black, white, silver, metallic black and metallic silver. The device comes with an AC charger, a screen protector, an OTG cable, a user manual, a USB cable and a one-year warranty from the manufacturer. The RCA tablet features an IPS 10.1” display with wide viewing angles and 1280 x 800p resolution. The slate is integrated with 2 GB RAM, 32 GB internal storage, a quad-core Intel Atom processor that has a maximum clocking frequency of 1.9 GHz and an Intel HD integrated graphics co processor. It also comprises a microSD slot for expanding the existing memory by an extra 128 GB. The unit is preloaded with the Windows 10 Home operating system and comes with the four Microsoft Office Mobile apps OneNote, Word Mobile, Excel Mobile and PowerPoint Mobile already installed. The slate has a built-in microphone and two 2 MP cameras of the same clarity, one on the front and the other on the rear. It supports Bluetooth 4.0 and Wi-Fi 802.11 n wireless technologies. The device encompasses a headphone and audio port, a micro HDMI video port, a USB 2.0 port and a micro USB 2.0 port. It works with a lithium-ion battery that has a life of six hours on a single charge. 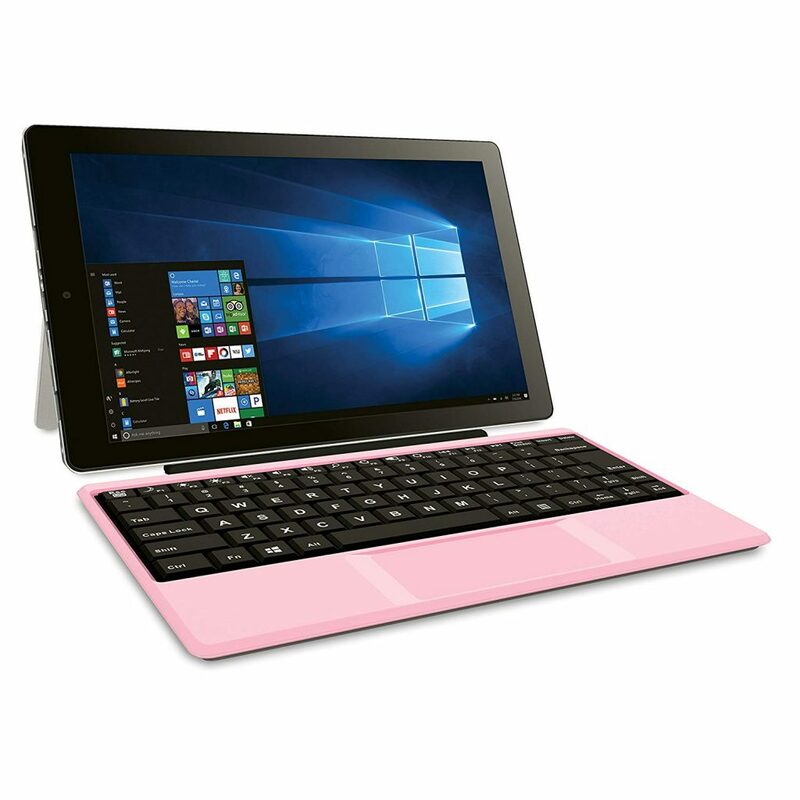 The tablet comes with a fixed and foldable kickstand, as well as a detachable pink non-backlit keyboard with black buttons and no separate numerical keypad. The Samsung tablet is available with two options for screen size – 8” and 9.7”. All other features and specifications of the tablet are the same. The tablet comes with a 2048 x 1536p resolution Super AMOLED QXGA display with an aspect ratio of 4:3. It comes with 3 GB RAM and 32 GB flash memory. The device also features a micro-SD slot to insert a memory card and increase the available memory by an additional 128 GB. The slate encompasses an octa-core processor in the form of two quad-core processors. One of the processors clocks at 1.8 GHz while the other clocks at 1.4 GHz. 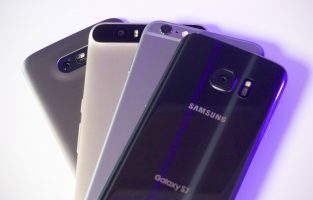 It is loaded with the Android 6.0 Marshmallow operating system. The tablet has a rear-facing 8 MP camera with auto-focus functionality and a 2.1 MP front-facing camera. The unit renders Quick Connect and Multi Window features. It also supports Glonass and GPS location technologies, as well as Wi-Fi 802.11 a/b/g and Bluetooth 4.1 wireless technologies. The Bluetooth profiles supported comprise A2DP, PAN, AVRCP, OPP, DI, HSP, HID and HOGP. The slate operates using a lithium polymer battery with an average life of six hours. The device is available in three color options of white, gold and black. It comes with a quick start guide, a micro USB cable and a travel adapter. The Elecost tablet has a 10” 1280 x 800p resolution IPS display powered by SmartColor technology to ensure that you do not miss out on any detail. The tablet supports 10-point multi-touch technology for accurate response. The device comes with 2 GB onboard RAM and 16 GB internal storage. However, the support for the inclusion of a memory card allows you to increase the memory to a maximum of 144 GB by using an appropriate memory card of your choice. It has a 1.3 GHz quad core processor that works in conjunction with a graphics coprocessor and is loaded with the Android 6.0 Marshmallow operating system. The unit has a rear 5 MP camera and a front camera with decent resolution for you to enjoy not only capturing your favorite photos and videos but also your video chats. The Cast Screen facility allows you to enjoy the tablet output on a bigger television screen without a HDMI cable. It supports Bluetooth 4.0 and Wi-Fi 802.11 b/g/n wireless technology. The black slate works with a lithium-ion battery that has an average life of seven hours. The tablet comes with a power adapter, an OTG host cable, earphones, a USB cable and a user manual. 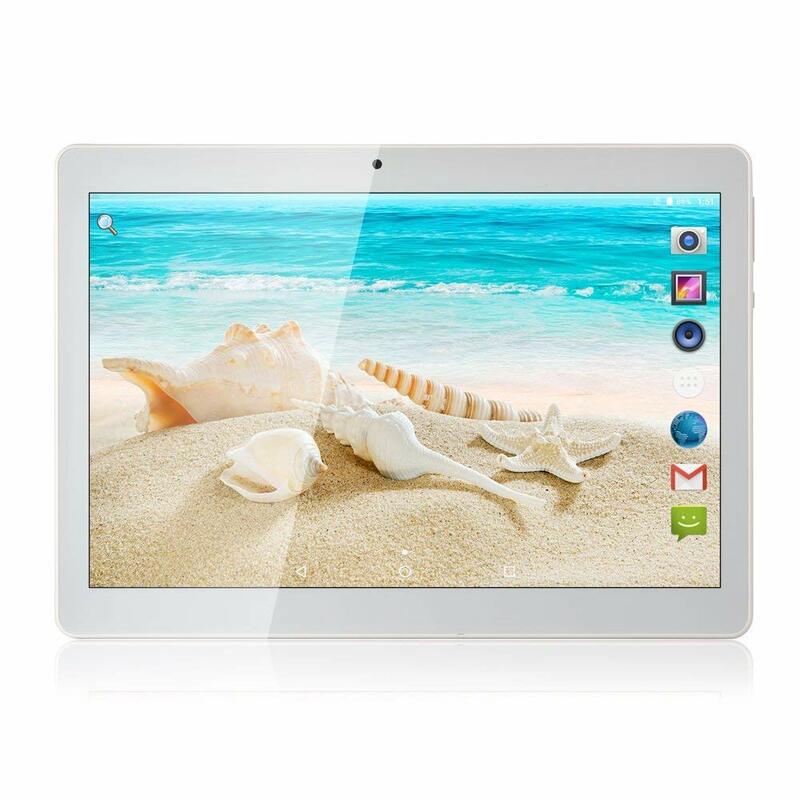 The Utopia Home tablet has a 10.1” 1280 x 800p resolution multi-touch IPS display. The tablet comes with 2 GB RAM and 16 GB onboard storage. 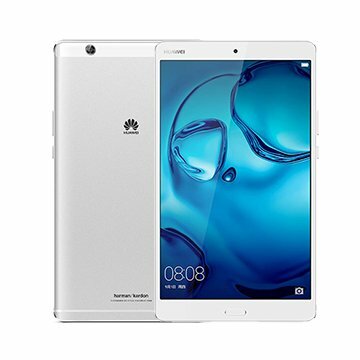 It is also integrated with a quad-core processor, a micro-SD slot to insert a memory card to add on up to 32 GB of memory and a SIM card slot to put a 2G or 3G compatible WCDMA SIM card and use the slate to make calls. The device comes with the Android 7.0 Nougat preloaded in it. The black tablet has an elegant design that gives it a classy look. The slate encompasses a 5 MP rear facing camera and a 2 MP front-facing camera. The unit additionally incorporates a built-in microphone and a speaker. It supports multiple technologies like GPS location technology and Wi-Fi and Bluetooth 4.0 wireless technologies. The device works with a 5,000 mAh lithium-ion battery that has an average life of five hours. The battery must be charged for at least three hours before the slate is used for the first time. The tablet comes with a protective case. One of the best tablets for seniors to mention in this list. This comes in the first position no doubt, for numerous reasons. The first thing is the size of this tablet. The size is highly manageable that makes it easy for the seniors to hold. The screen is of excellent quality to enjoy all kind of videos and games. So, this iPad mini 4 from Apple is an excellent choice for the seniors. One more thing – this tablet is great for reading e-books. The second best tablet for senior in our list. This tablet from ASUS is great for all kind of purposes such as watching movies, playing games etc. It lets you enjoy the multitasking. 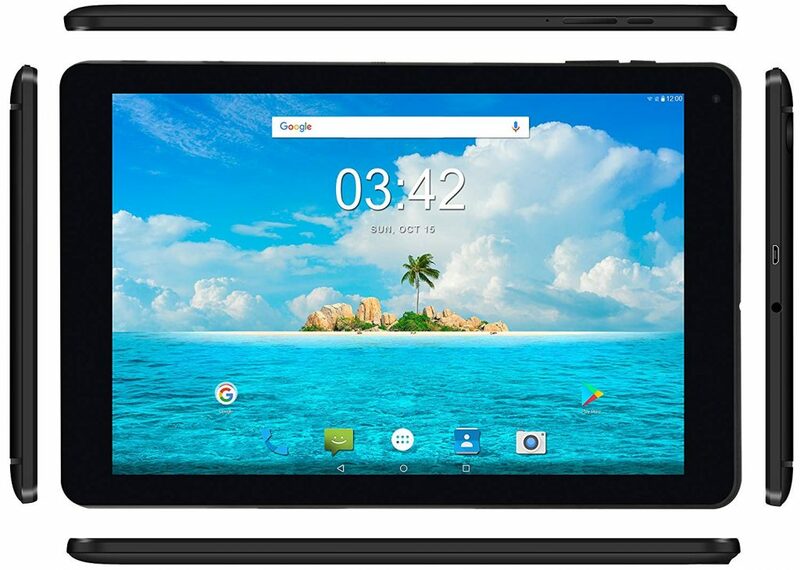 The specifications include MediaTek MT8176 Hexa-Core Processor at 2.1 GHz, 4 GB RAM, 64GB storage, and an excellent 9.7 Inch IPS Display that has a resolution of 2048 x 1536. Battery life is highly impressive. It can be active for more than 10 hours in just one charge. Coming to the camera part, it does not require you to carry any other camera with you as the 8MP rear camera and a 5MP front camera is great enough to capture high-quality images. With all these, another important feature that makes it just suitable for the seniors are its user-friendly nature. 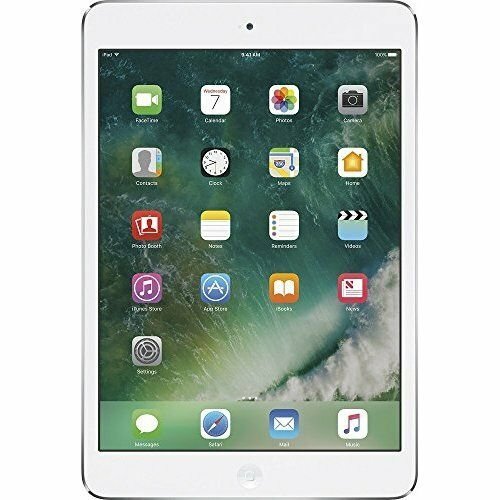 Another great tablet for seniors from the reputed Apple brand. 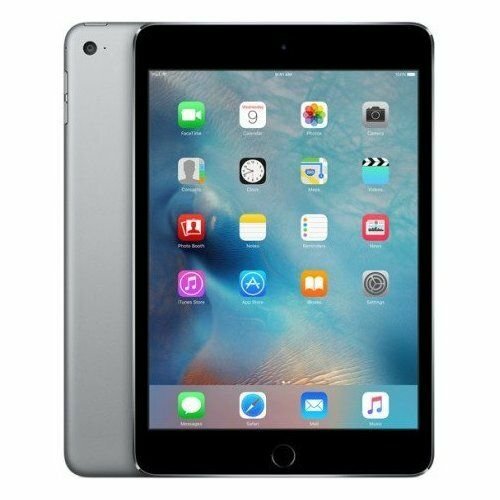 While Apple has captured the market with numerous iPad series but this iPad Air 2 is a perfect choice for the elder people. Senior people obviously look for a wider screen with excellent display quality and thankfully this iPad Air 2 has all those needed features. It comes equipped with a bigger 9.7-inch display of surprising display quality that is able to produce great clarity. Numerous variants for RAM and storage is available. This iPad has an excellent camera to allow you capturing great quality images and videos. 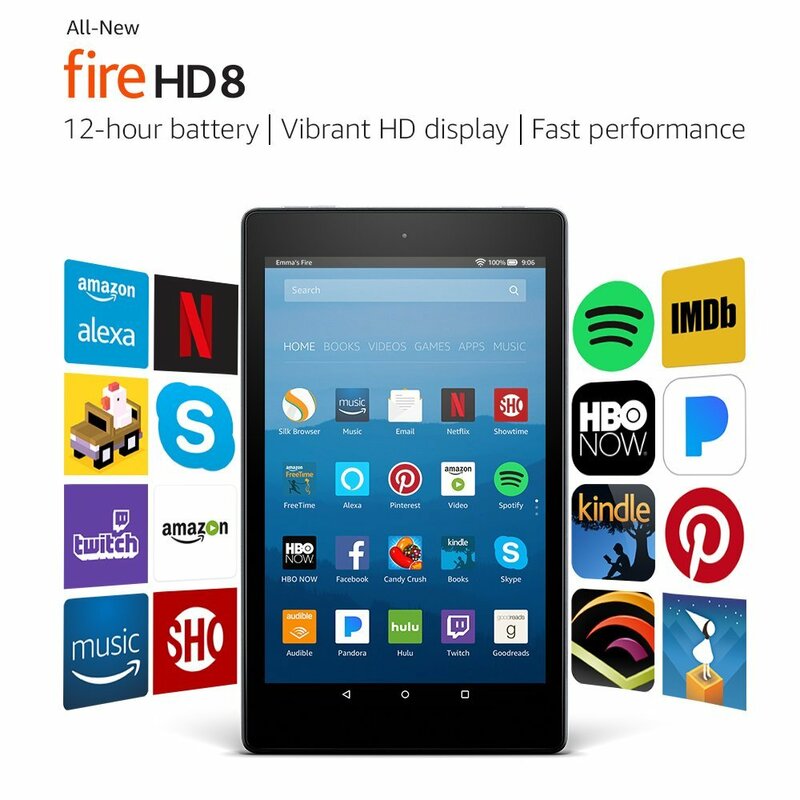 Amazon Kindle Fire HD 8 is another interesting tablet to mention here that is equipped with all the needed features and functionality. Alexa, the personal assistant is the most exciting feature which helps you with everything. You can ask her any question, ask to play music or any other task and it will do hassle free in a matter of second. The second attraction of this tablet is the Amazon media library. So, if you wish to take a tablet for reading books, this is probably the best choice which comes wrapped with the library. Other specification includes 1.3 GHz quad-core processor, 16-32 GB storage, 1.5 GB RAM, Dolby Audio, MicroSD card to expand the storage up to 256 GB and a vibrant 8-inch display. The battery life is really impressive which, it lasts 12 hours. Samsung has a great market share when it comes to the smartphones but they are not behind in case of the tablets as well. This is the tablet with the biggest screen of 10.1 inch which is a great thing for the elder people. The bigger screen ensures things will become much more enjoyable. 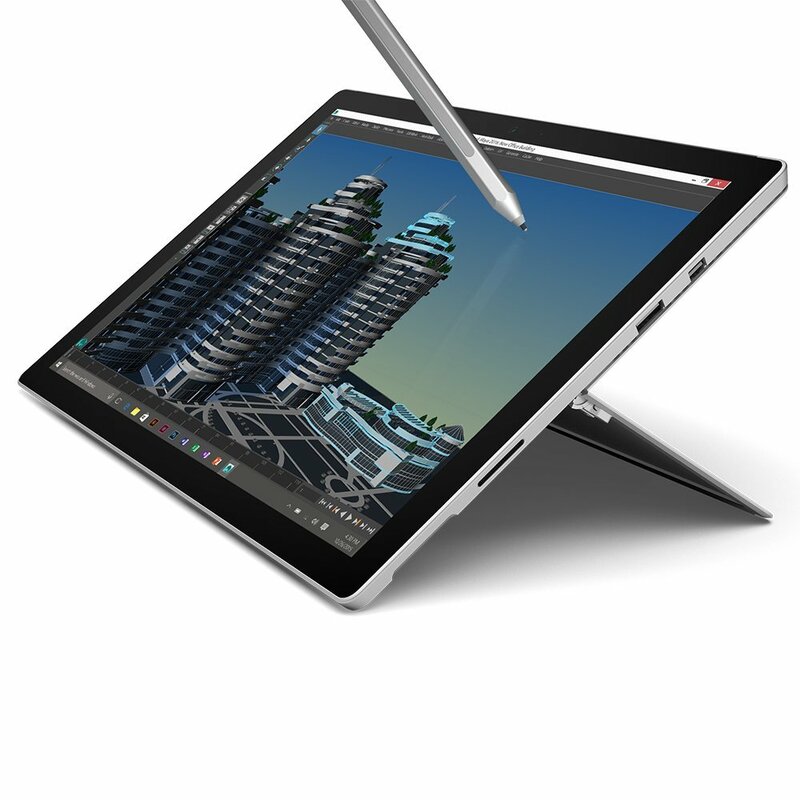 The specs is really great to make this tablet as one of the best ones. The screen is really great with excellent color production, resolution, contrast and perfect viewing angle. The senior citizen with poor eyesight will find it extremely helpful for them. Samsung has integrated Exynos 7870 Octa-Core Processor at 1.6 GHz, 2GB RAM, 16GB storage and a great battery to offer 13 hours long battery life. Do you have bit higher budget? 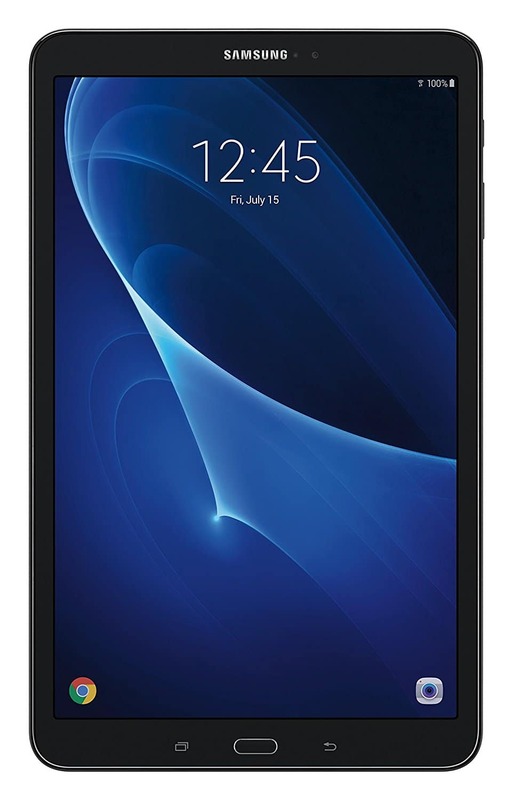 If yes, then this tablet from Samsung will be a great choice for your grandpa or grandma. Samsung has built this device with all the high-end software and hardware to make it perform the way you want. The 9.7 inch Super AMOLED display is just excellent to enjoy every single thing hassle free. It includes a stylus pen. 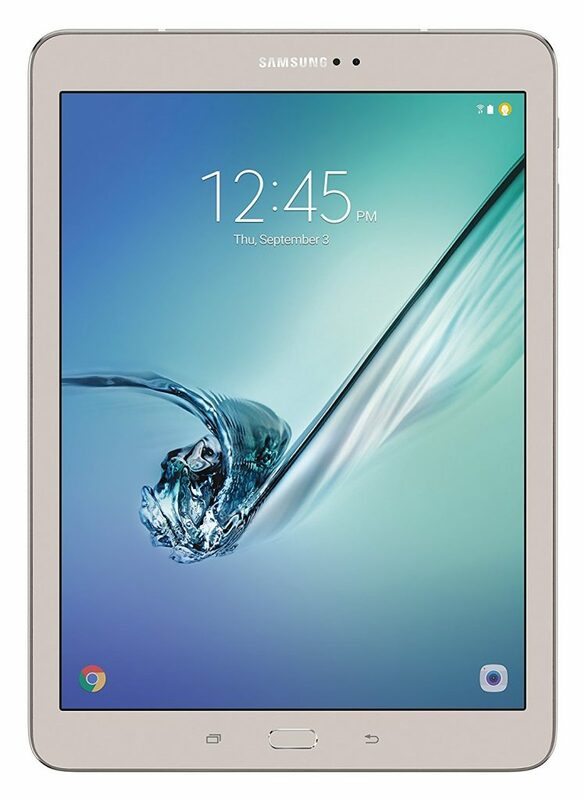 You will be able to enjoy a cinematic vividness on the screen of Samsung Galaxy Tab S3. The S Pen in Tab S3 is far better than ever which is pressure responsive and more precise than before. So, if your bank balance is heavy enough do not think twice to go for this tablet. This is a 2-in-1 device which can be used as a laptop and tablet. 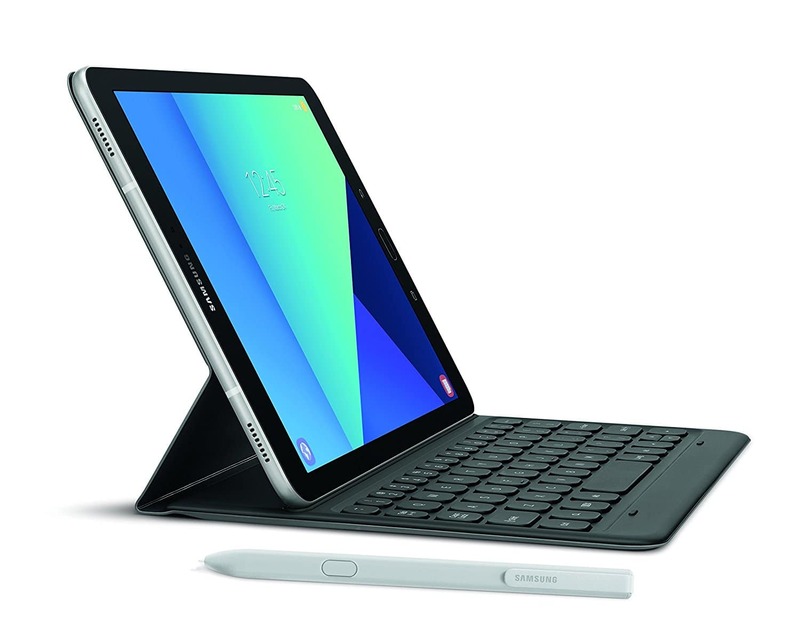 It comes with a detachable keyboard and you can easily detach the keyboard to form a tablet. However, it will cost you much more than other tablets mentioned in this list. It has a bigger 12.3-inch screen of 2736 x 1824 resolution. The high contrast and low glare screen ensure seniors will find it highly comfortable for their eyes. It will eliminate the strain on their eyes while the bigger screen will allow them enjoying everything with much ease. The specifications are high enough to let you accomplish all kind of tasks such as watching movies, playing games, multitasking of course etc. The specifications include 6th Generation Intel Core i5 processor, 4GB memory, 128GB SSD with a microSD slot and that 8MP and 5 MP camera. The last tablet to mention in our list for the seniors. This tablet is packed with a great specification for a hassle free experience. This tablet is made with a solid design so that it can resist everyday tear and wear. 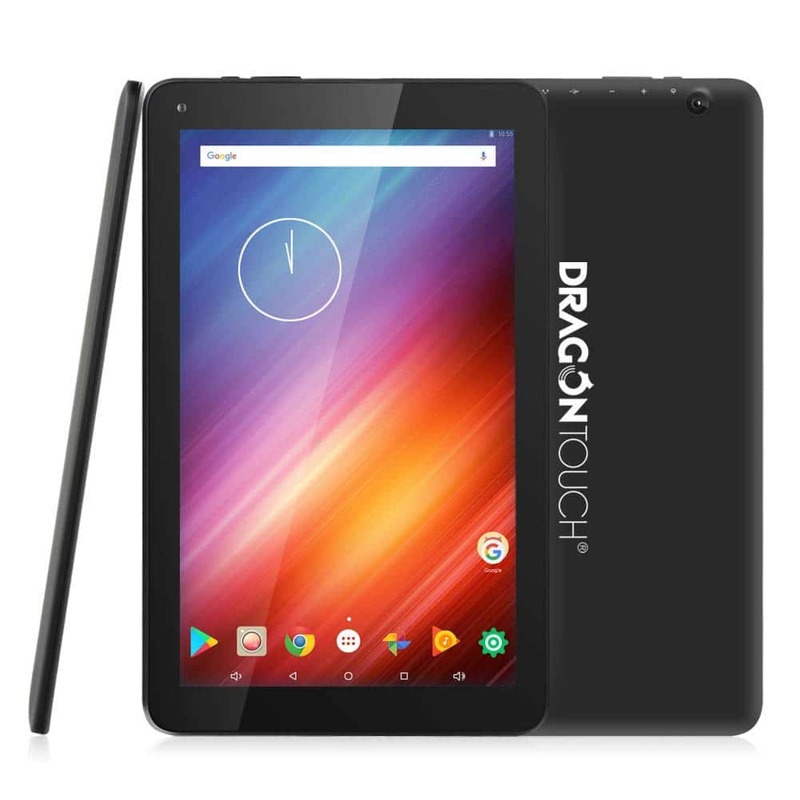 The specification includes Octa-Core Hi Silicon chipset with 4GB RAM, 32/64GB internal storage, MicroSD card, and an interesting 8.4-inch display with 2560 x 1600 pixels resolution. This is no doubt one of the best choices for the senior people which is packed with all the needed features. Tablets come with display screens of various sizes. Seniors can choose a slate depending on what size they think they will find easy to hold and operate. If they want to view each and every detail with utmost clarity, brightness, sharpness and vividness; then tablets with IPS screens are most likely to meet this requirement. On the other hand, if the need to own a tablet is for making phone calls, seniors are advised to look at SIM card slates that offer excellent sound clarity and built-in microphones. Last but not least, the operating system that they are comfortable using also determines the slate that they should buy.